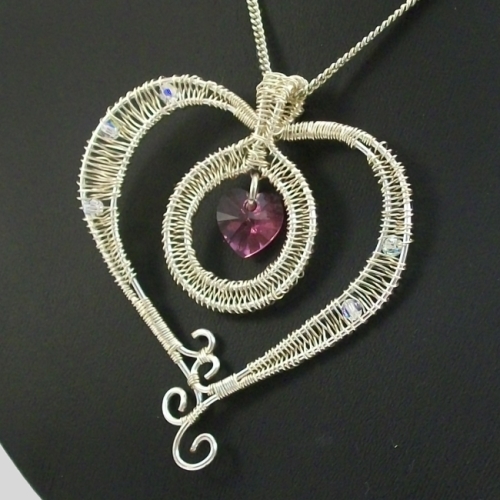 Unique wire wrapped heart shaped pendant made from .32mm wire wrapped around a 1mm wire frame. 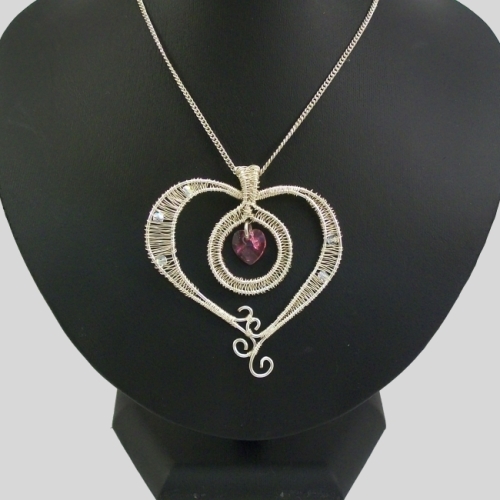 The heart has six AB coated Czech fire polished beads wrapped in to the sides of the heart for eye catching sparkle and has a genuine pink Swarovski crystal heart in the center. Comes with 20" black cord necklace. 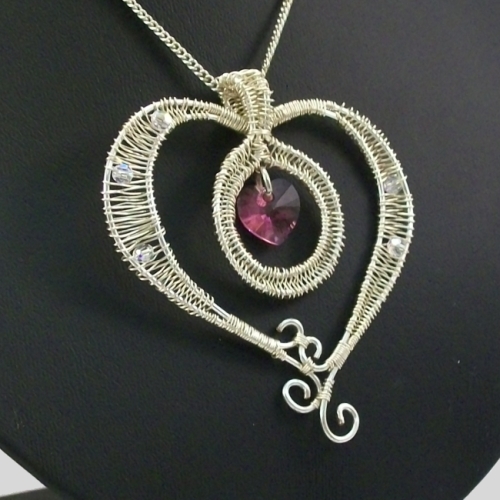 Made from anti-tarnish silver plated wire. All necklace findings are silver plated and nickel free. 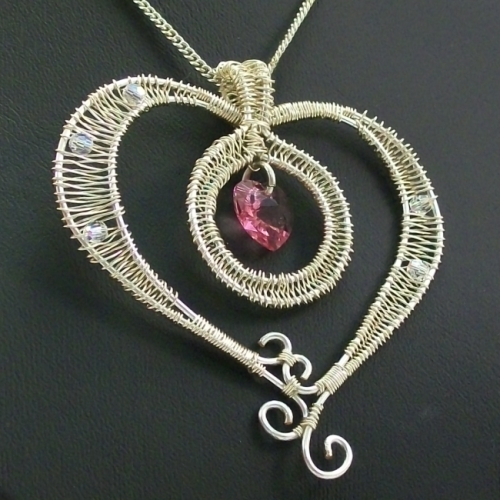 This large pendant is 6cms long and 5.5cms wide.